Former New Zealand captain Frank Oliver has died suddenly, aged 65. Oliver played 43 games, including 17 Tests, for New Zealand between 1976 and 1981 and will always be remembered in Wales for his infamous "dive" from a line-out in Cardiff in 1978. Brian McKechnie kicked the resultant penalty to give the All Blacks a controversial 13-12 win. "Frank was one of the hard men of rugby and has a unique place in history," said New Zealand chief Steve Tew. "He played for three different provinces, was an All Black, an All Blacks captain, was one of New Zealand's inaugural Super Rugby coaches (coaching the Hurricanes from 1996 - 1999) and he and his son Anton [who captained the national side 10 times] were one of 18 father and son All Blacks." Andy Haden who played in the second row alongside Oliver in the 1978 victory over Wales, and who was involved in the same incident said: "It's hard to conceive that he's dead. "[He] seemed indestructible, Frank. He was a colossus in the All Black second row in those days." Haden also remembered the incident in 1978 which he said the pair conceived the day before the match. "Frank and I practised it the day before, so there might have been a little bit of collusion there," he admitted. "There's no way we were going to go back to our seats and say: 'If only we'd done this, or that.'" English referee Roger Quittenton later said he penalised Welsh lock Geoff Wheel for a barge on Oliver, who appeared to dive out of the line-out. 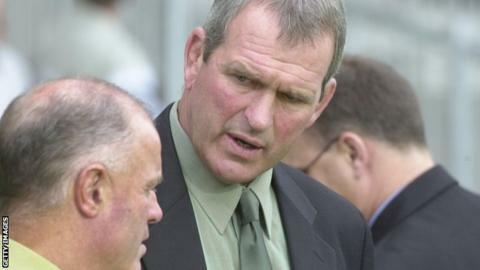 John Knowles, chief executive of the Manawatu province which Oliver played for during his career, said: "It is a very sad day for our union in losing one of Manawatu's greatest players. "He was one of New Zealand's tough men of rugby, both as a player and as a coach. "The province will feel this loss immensely and our sympathy and condolences are extended to his family." Oliver was appointed as the inaugural coach of the Wellington Hurricanes when rugby went professional in 1995. He also coached the Auckland Blues in 2001. Oliver died in his sleep at home in Palmerston North in New Zealand on Sunday.